This is the face belonging to an ancient skeleton buried in Roman times, created using the latest 3D reconstruction technology. The so-called ‘Beachy Head Lady’ – because she was discovered in the East Sussex beauty spot – had her face recreated using craniofacial reconstruction techniques. Her skeleton was first discovered in Beachy Head 1953, and she is thought to have lived around 245 AD- the middle of the Roman period in Britain. Unusually Beachy Head Lady is from sub-Saharan Africa which was outside of the Roman Empire. Experts are not entirely sure how she ended up in Britain, but researchers believe Beachy Head Lady probably grew up in the area and was possibly the wife or mistress of a local official at a nearby Roman villa. Another theory is that she was a merchant trading wares in Europe and chose to settle in the country. Jo Seaman, heritage officer at Eastbourne Borough Council, said: ‘This is a fantastic discovery for the south coast. 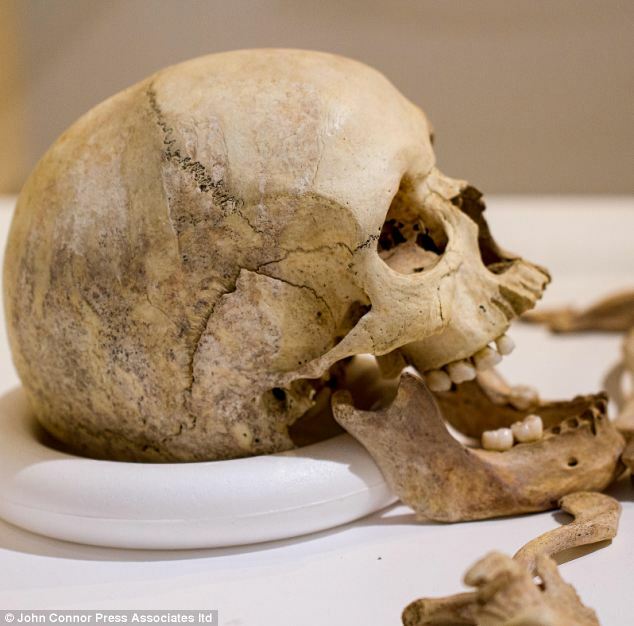 ‘We know this lady was around 30 years old, grew up in the vicinity of what is now East Sussex, ate a good diet of fish and vegetables, her bones were without disease and her teeth were in good condition. 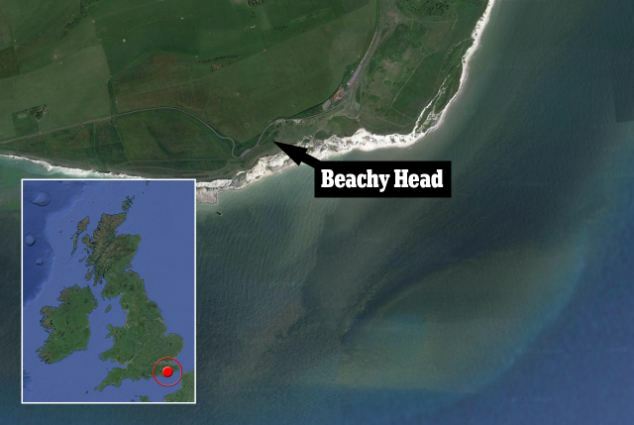 WHAT DO WE KNOW ABOUT BEACHY HEAD LADY? 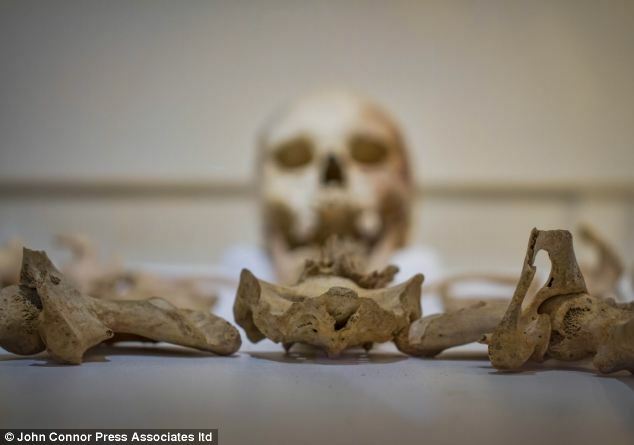 The female’s skeleton suggests that the woman was around 30 years old when she died in 245AD. Experts believe she grew up in Sussex despite being from Sub-Saharan Africa. This is especially interesting as this area was beyond the reaches of the Roman Empire. Because she was not found with any grave goods, archaeologists are unable to deduce what social status she was. It is however possible that she was the wife or mistress of an official. She may also have been a merchant traveller too. ‘Without the context of seeing the burial site or grave goods, we don’t yet know why she was here, or her social status. 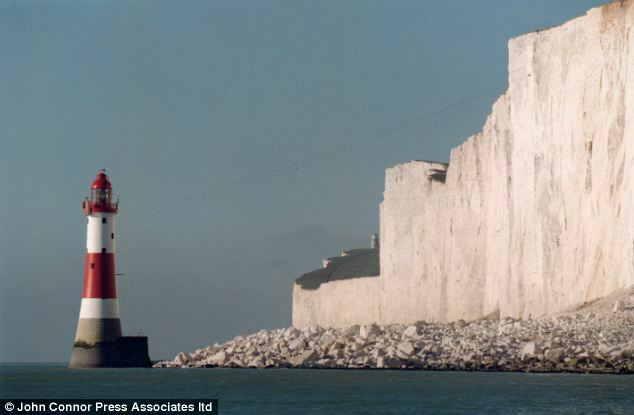 Mr Seaman said that isotopes showed the Beachy Head Lady was raised in or around Eastbourne from a young age. He said the skeleton was in good condition with no signs of hard labour. Eastbourne museums paired up with the University of Dundee to use Radio-Isotope Analysis to examine bones and teeth for trace elements absorbed from food and water during an individual’s lifetime, giving a geological fingerprint to the region in which they grew up. Her full skeleton is on show for the first time to the public at Eastbourne Borough Council’s museum service which was awarded a grant of £72,000 by the Heritage Lottery Fund. The skeleton makes up part of the Eastbourne Ancestors project at the museum. The aim was to identify the gender and age of each skeleton in its collection to build up stories about them. 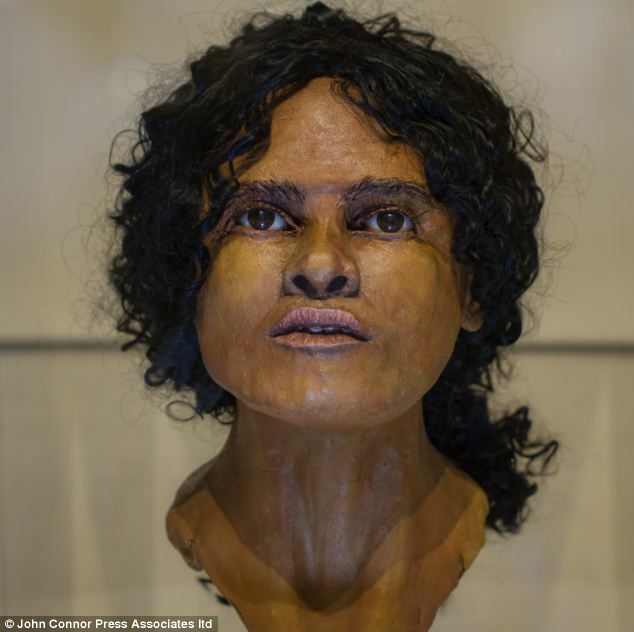 The researchers were also able to use the size of the skull and traces of where the muscle would have met the bone to build up a picture of her appearance. Eastbourne Borough Council Cabinet Member for Tourism and Leisure, Cllr Carolyn Heaps said: ‘It is very exciting to open the first local history related exhibition in ten years.